MHS Principal Dan Richards has received the Inaugural Award of the NASSP Advocacy Champion of the Year Award. Here is the information about the award and why Dan was selected for this prestigious national award. Please join us in congratulating Dan. It is always very special to be recognized by one’s peers for an honor like this. Way to go Dan! 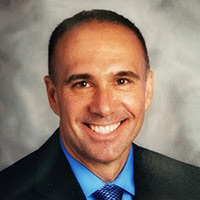 Tonight during the opening reception of the 2019 NASSP Advocacy Conference, Dan Richards, principal of Georgetown Middle High School in Georgetown, MA, was announced as the first-ever Advocacy Champion of the Year for his significant contributions to advancing the policy agenda of NASSP and advocating on behalf of all school leaders to strengthen America’s public schools and ensure the success of each student. A long-standing member of both NASSP and the Massachusetts School Administrators’ Association (MSAA), Richards takes the time to work with individuals on their needs and build their confidence to be strong advocates for education. In his role as an NASSP state coordinator, he serves as the top volunteer advocate for principals in Massachusetts and mentors other state coordinators at NASSP’s Advocacy Conference, the National Principals Conference, and the Massachusetts Interscholastic Athletic Association Summer Institute. Because of his commitment to NASSP and MSAA, Massachusetts school leaders are one of the leading education policy voices on Beacon Hill in Boston and on Capitol Hill in Washington, D.C., and Massachusetts is one of the top-performing states in the country for grassroots advocacy efforts supporting NASSP’s policy agenda. Congratulations once again to Dan Richards for his unwavering commitment and tireless advocacy for better education across the nation!